Want more features? Let us know, or check out our Antnotes application! 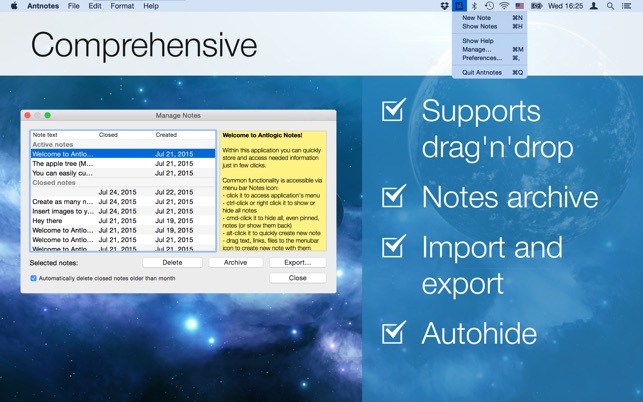 The free version works well, but it has some problems like font colors can’t be changed independently from each other. 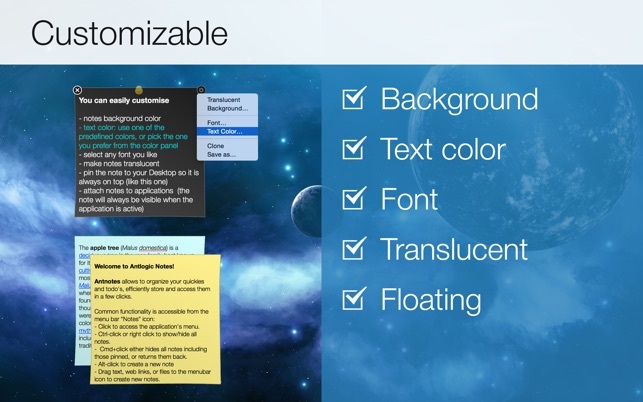 For example, if one word in a sentence is changed to blue then the whole note will change also to blue. I’d buy this app, but I don’t know if the paid version has the same problem. This’s a minor failure which is ok for the free version but developers should pay more attention to free apps since people will judge the quality of the paid version through the free version like myself. Update: this app has changed for the positive. In the past, I had troubles with it but now it works fine. 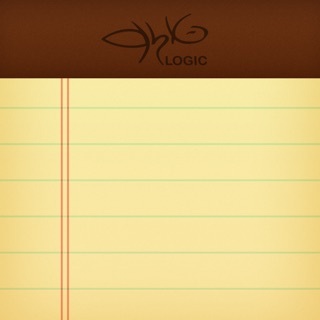 I have the free version, and it’s all I need cause I can change colors, letters, eat without spending a cent. Good work for the developers. Everyone should have this app. 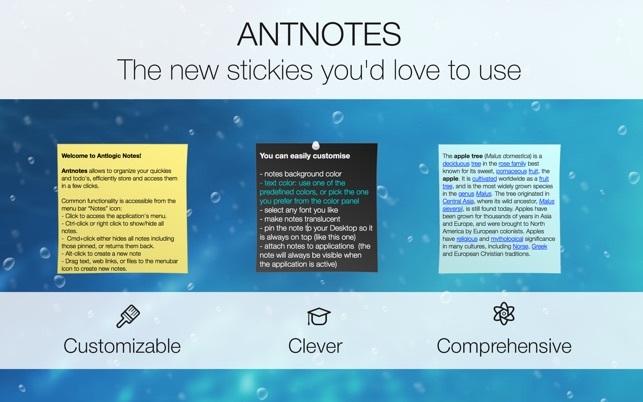 Love all of the optios of this Stickies replacement, including its historical record of closed notes. The only thing that’s bugging me, and I don’t think this was the case when I started using it a year or so ago, is that the notes don’t reliably remember their locations when I plug a monitor into my laptop for dual monitor use - they keep overlapping or moving away from each other. I wish that it would just stick with a fixed pixel value relative to a specific corner of the screen so that the arrangement is identical regardless of what screen it’s appearing in. This app, even in the free version, is great for its purpose. 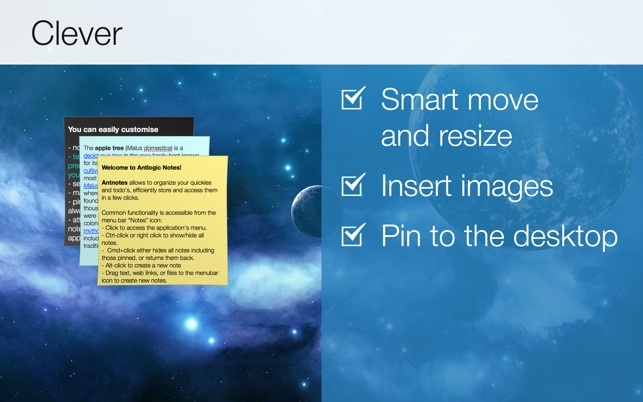 I can add sticky notes to my desktop in a variety of colors and even pin the stickies to certain desktops. The design is clean and neat while still providing some variability. My reason for not giving 5 stars is because i dislike how the app icon must be open in the dock while the app is in use. I’d much rather prefer it to be in the overhead menu, but this is very minor and i still love the app. I’ve had no crashes or lagging since i downloaded this a couple of weeks ago.